Directed by former Globe Associate Tim Carroll, and with puppetry from Mandarava, Dominic’s one-man performance of A Christmas Carol plays each December in London. 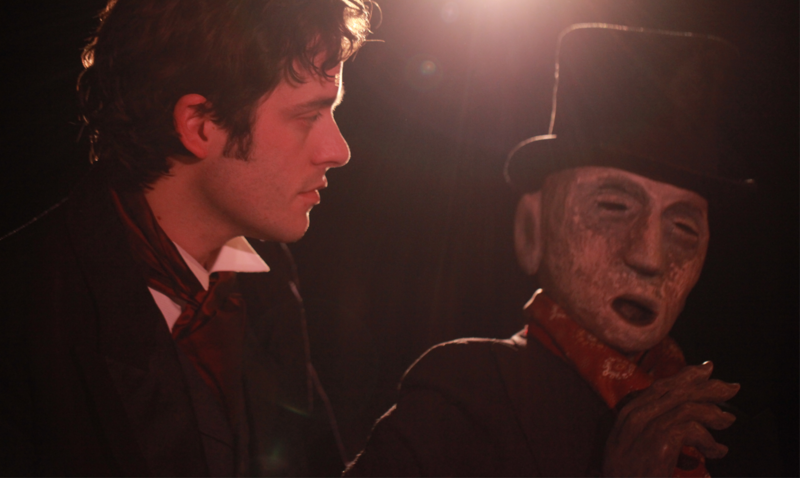 This 60 minute adaptation follows close to Dickens’ classic narrative: revolving around a central puppet of Scrooge. Since 2011, the Charles Dickens Museum has hosted performances of the show at Dickens’s London home in Doughty St.
Other venues include: Jermyn Street, Leicester Square, Soho Theatre, Waterloo East, V&A, Museum of London and the Farnham Maltings. For private bookings of the Carol please contact Dominic here.